Heart busy shopping centre popular residential suburb Devon city. Impressive premises totally renovated and refurbished throughout with 2 superb bar areas, cafe, snug, excellent kitchens, trade patio, cellars etc. Run under management. Turnover approx. £10,000 per week. Tremendous potential. Ideal owner run concern. New free of tie lease. Flexible terms. Highly recommended. Unopposed trading location serving densely populated residential area Plymouth. Lock-up premises with sales area, kitchen, preparation area and staff w.c. Suit variety catering uses. Undoubted trading potential. Valuable A5 consent. Secure lease. Rent £866 per calendar month. Offers invited. Enviable location popular residential area Devon city. Smart lock-up premises superbly presented with salon area, beauty room, sunbed room and staff kitchen/w.c. Well established and growing business. Genuine potential. Leasehold. Rent £570 per calendar month. Enviable location adjacent busy petrol filing station, lorry park and small industrial estate South Devon. Modern premises (approx. 450 sqft), two car parking spaces, Additional car sales site eight cars available separate negotiation. New lease available. Flexible terms. Rent approx. £100 per week. Prime location heart historic water's edge Barbican area Plymouth. Substantial period premises and development comprising 3 self-contained retail shop units let on typical commercial terms and rentals, plus 8 self-contained residential flats sold off on long leasehold terms, generating annual ground rents. Total Rental income approximately £28,000 per annum. Enviable corner site popular residential suburb Plymouth. Substantial period property. Sales shop (approximately 700 sqft), stockrooms, spacious 4/5 bedroom accommodation, garden, patio and garage.Recently closed. Historic Turnover approximately £13,000 per week. Tremendous development potential. Unique opportunity. Prime location, centre of Saltash. Prominent lock-up unit with good frontage. Retail area just over 800sqft and store 375sqft. Staffroom and car park. Suit variety of retail trades. New Lease. Terms negotiable, commencing rent £10,000 per annum. Popular densely populated residential and commercial area Devon city. Impressive listed period premises, wealth of character, large lounge bar area, pool room, functions suite, kitchen, trade patio, cellar etc. Historic Turnover Approx £250,000pa. Mainly wet sales. Retirement sale after 30 years. Excellent potential. New 'free of tie' private lease. Enviable position heart popular residential area Plymouth. Attractive corner premises well presented throughout with smart well-appointed salon area, staff kitchen, w.c. and yard. Turnover approximately £30,612 per annum. Reconstituted net profit approximately £19,000 per annum. Totally unexploited with excellent potential. Long leasehold, peppercorn rent. Popular residential area Devon city. Smart well-appointed lock-up premises with attractive salon area, staff kitchen and w.c. Well established business. Turnover approximately £70,000 per annum. Rent only £140 per week. Viewing recommended. Popular shopping parade serving established residential area Plymouth. Modern premises smart comprehensively equipped sales shop, large stockrooms, staff w.c., self-contained two bedroom flat and garage. Turnover approximately £5,000 - £5,500 per week. Gross profit approximately 25%. WNB approximately £400 per week. Lottery agent. Secure lease. Viewing recommended. Well established shopping parade popular residential area Plymouth. Attractive first floor premises recently refurbished reception, smart salon, tanning room, nail room, staff kitchen, w.c., etc. Turnover approximately £25,000 per week. Limited hours with excellent potential. Rent approximately £6,800 per annum. Viewing recommended. Enviable South Devon city centre site. Impressive lock-up premises, over 3 floors, superbly presented and equipped throughout. Coffee shop, cafe area and servery, covers 60, 1st floor showroom, cloaks, store and 2nd floor picture framing workshop, office and outside patio seating 100 persons. Most reputable and well established business. Fully licensed. Turnover approximately £200,000 p.a. Healthy Net Profits. Viewing essential. Rent only £12,000 p.a. Popular shopping precinct serving large suburb Devon city. Modern lock-up premises well presented and equipped throughout with sales shop, stockroom, kitchen and w.c. Turnover approximately £260,000 per annum. Gross profit approximately 21%. Wholesale News Bill approximately £1,500 per week. Healthy profit. Ideal owner operated concern. Secure lease. Rent only £4,000 per annum. No Business Rates. Viewing recommended. Heart busy Cornwall town. Smart lock-up premises comprehensively fitted and equipped sales area/take-away, kitchen and w.c. Turnover approximately £1,000 -£1200 per week. Gross Profit 66%. Healthy Net Profit. Daytime only. Excellent potential evening trade. Long 999year leasehold interest or New lease available. Rent only £500 per calendar month. ​Enviable location major South Devon city. Modern lock-up premises comprehensively equipped throughout with takeaway and cafe seating 18, servery, kitchen and w.c. Turnover approximately £2,200 - £2,500 per week. Gross profit approximately 66%. Secure lease. Realistic rent. Popular shopping parade suburb Plymouth. Attractive lock-up premises superbly presented with cafe seating 20, servery area, preparation room, toilet and pretty trade patio. Fully licensed. Reputable well established concern. Turnover approximately £2,000 per week. Genuine potential. Lease. Rent only £430 per calendar month. Viewing recommended. Excellent high street position popular Devon town. Impressive lock-up premises superbly equipped and presented with sales shop, excellent kitchens, stockroom and w.c. Turnover approximately £1,500 per week and growing. Excellent potential deliveries. Secure lease. Enviable central location, residential and commercial area Plymouth. Modern lock-up premises superbly equipped throughout. Café/coffee shop seating 24, commercial kitchens/preparation rooms, office, stockrooms, w.c. and trade patio. Turnover approximately £75,000 per annum. Adjusted Net Profit before staff wages approximately £35,000 per annum. 50% café, 50% outside catering. Perfect owner run concern. Excellent potential. Very realistic rent. Viewing essential. ​Prime main road site established residential and commercial area Devon city. Modern lock-up premises extensively equipped throughout with take-away, preparation/kitchen areas, freezer store, w.c. and one bedroom flat. Well established business. Turnover approximately £3,000 per week. Gross profit approximately 65%. Secure lease. Rent £13,000 per annum. Great value. Heart thriving 'village' shopping parade Devon city. Attractive corner property, well equipped sales shop, grooming room, stockroom and w.c. Turnover approximately £65,000 per annum. Healthy profit. Genuine potential to expand. Secure lease. On outskirts of Devon city overlooking sandy beaches with breathtaking sea views. Modern lock-up premises, smart well presented sales shop (approx. 37sqm), kitchenette, stockroom, w.c. Seasonally run concern. Turnover approx. £30,000 per annum. Gross profit approx. 60%. Genuine potential. 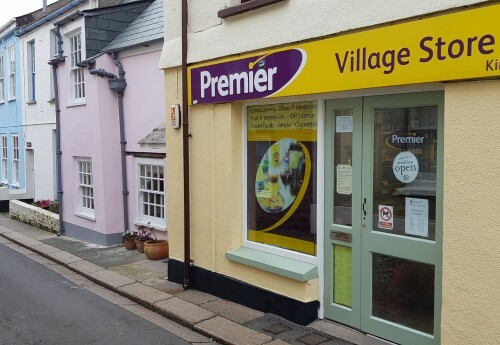 Excellent Fore Street position thriving Cornwall town. Modern lock-up premises superbly presented sales shop, kitchen, stockroom, office, etc. Turnover approximately £1,200 - £1,500 per week and growing. Healthy gross profit. Totally unexploited with excellent potential. Leasehold. Prime location heart popular Devon town foothills of Dartmoor National Park. Attractive lock-up premises well presented and equipped throughout. Dining area covers 42, servery, kitchen/preparation rooms, toilets and trade patio. Reputable well established business. Turnover approximately £245,000 per annum. Gross profit approximately £144,137 per annum. Perfect first business. Viewing recommended. enviable location adjacent multi-million pound water's edge development area Plymouth. Charming lock-up premises superbly presented throughout. Café 24, servery, kitchen, cloakrooms, preparation and freezer rooms etc. Popular and well established business. Daytime only. Turnover approximately £1,200 to £1,500 p w. Gross Profit approximately 61%.Leasehold. Viewing recommended. Enviable central position close marina and busy water's edge area Devon city. 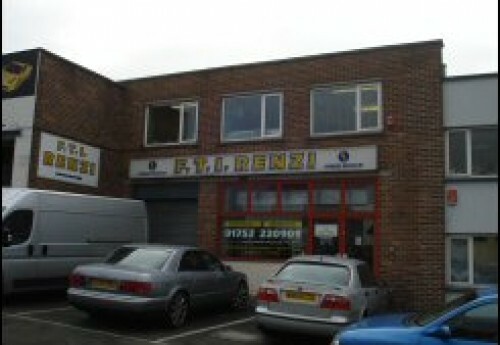 Large corner premises recently renovated and refurbished. 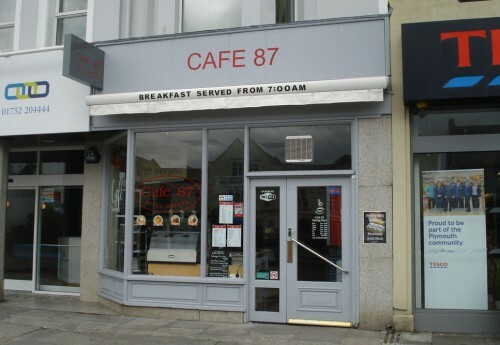 Attractive cafe seating 36, servery, kitchen/preparation area, cloaks and three bedroom flat. Well established concern. Turnover approximately £1,500- £2,000 per week. Gross profit approximately 65%. Realistic rent. Viewing recommended. Convenient city centre position heart Devon city. Modern first floor premises superbly presented and equipped salon area, beauty room, staff kitchen, w.c. Well established concern. Turnover approximately £107,000 per annum. Net profit approximately £30,000 per annum. Retirement sale. Highly recommended. Secure lease. Enviable location busy shopping parade Devon city. Impressive lock-up premises superbly equipped throughout, sales shop and take-away, kitchen, preparation room and staff w.c. Turnover approximately £2,000 per week. Gross profit approximately 65%. Daytime only. Definite trade potential. Viewing essential. Rent only £600 per calendar month. ​Thriving shopping parade serving popular residential area Devon city. Modern lock-up premises recently refurbished and equipped with sales shop (approx. 600sqft), stockroom and w.c. Turnover approximately £1,600 per week. Gross profit approximately 40% plus Post Office salary approximately £12,000 per annum. Limited opening hours. Excellent potential to increase. Rent only £555 per calendar month. Heart pretty South East Cornwall village close lovely sandy beaches. Large period property extensively renovated with wealth character Well equipped sales area, stockrooms, spacious and versatile five bedroom (two bath) accommodation, decked patio etc. Well established concern. Turnover approximately £5,000 - £6,000 per week. GP approximately 25%. WNB approximately £1,600 per week. Genuine potential. New Lease or Freehold. Highly recommended. Excellent central location Plymouth. Charming lock- up premises with attractive cafe bar, servery, cloakroom and stunning decked trade patio. Fully licensed, Turnover approximately £110,000 per annum. Healthy Gross Profit. Genuine Potential. Ideal owner run concern. Rent only £7,200 per annum. Highly recommended. Enviable city centre position Plymouth. Lock-up premises with well equipped sales shop (approximately 600sqft), stockroom and w.c. Turnover approximately £1,500 per week. Gross Profit approximately 40%. Genuine potential to develop. Retirement sale after 30 years. Secure lease. Rent only £9,600 per annum. Excellent main road site thriving residential and commercial area Plymouth. Period property take-away, preparation room, freezer store, self-contained 3 bedroom flat and private parking. Well established business. T/O approx. £3,000 per week. G.P. approx. 60%. Leasehold rent £12,500 p.a. Main road position busy commercial and residential area Devon city. Smart well presented cafe area seating 18, comprehensively equipped kitchens and preparation area, toilet and private parking. Turnover approximately £83,994 per annum. Adjusted net profit before wages approximately £41,260 per annum. Well established business. Secure lease. Rent only £103 per week. Viewing recommended. Enviable location established shopping parade popular suburb Devon city. Modern lock-up premises with smart well equipped sales shop, Post Office section, store/office, separate 1-2 bedroom flat. Post office salary approximately £84,000 per annum includes six outreach services. Fully staffed. Ideal owner run concern. Leasehold. Rent £1,000 per calendar month. Viewing recommended. With Turnover approx.£750,000 pa net services. Prime high street position city center major Devon city. Modern lock-up premises. comprehensively equipped throughout (approx 1,200 sqft), plus stockrooms, office, staff rooms etc. Adjusted Net Profit prior wages approx £95,000pa. Ideal owner run concern. Highly recommended. Leasehold. Main road site serving popular residential area Devon city. Modern lock-up premises superbly equipped and presented sales shop (approximately 700sqft), stockrooms, office, w.c., etc. Well established concern. Turnover approximately £8,000 - £8,500 per week. Gross profit approximately 20%. Leasehold. Rent only £900 per calendar month. Viewing recommended. Enviable position city centre Plymouth. Modern premises with comprehensively equipped sales shop, office, kitchen, toilets and stockrooms. Reputable well established concern. Turnover approximately£468,000 per annum. Gross profit approximately £167,200 per annum. Adjusted net profit before wages approximately £140,000 per annum. Retirement sale after 50 years. Genuine potential. New lease available. Superb location overlooking Plymouth's historic Barbican area. Charming lock-up premises well appointed and equipped sales area, servery and w.c. Well established and reputable concern. Turnover approximately £65,000 per annum. Gross profit approximately 50%. Excellent potential. Secure lease. Viewing recommended. Busy shopping parade serving popular residential area Devon city. Lock-up premises, well equipped sales shop, stockroom and staff w.c. Well established concern. Turnover approx. £250,000 per annum. Gross Profit approx. £57,400 per annum. Wholesale News Bill approx. £1,300 per week. Healthy profits. Retirement sale. Secure lease. Established shopping parade popular residential suburb Devon city. Modern lock-up premises comprehensively fitted and equipped with sales shop (approximately 1,000sqft), stockroom, office, w.c., parking. Turnover approximately £9,000 per week excluding services. Gross profit approximately 26%. Ideal owner run concern. Secure lease. Viewing recommended. Prime city centre location Devon city. Impressive lock-up premises superbly equipped and presented throughout. Two themed dining areas covers 70, servery, cloaks, preparation and staff areas and great decked patio covers 120. Reputable and popular concern. Run under management. Turnover approximately £4,500 to £5,000 per week. Gross profit approximately 70%. Perfect owner run business. Viewing essential. exclusive and highly sought after South Devon riverside town. Charming lock-up premises superbly presented and equipped with sales shop, stockroom and w.c. Popular and well established business. Turnover approximately £140,000 per annum. Gross profit approximately £63,000 per annum. Healthy net profit. Perfect lifestyle concern. Viewing recommended. Secure lease. 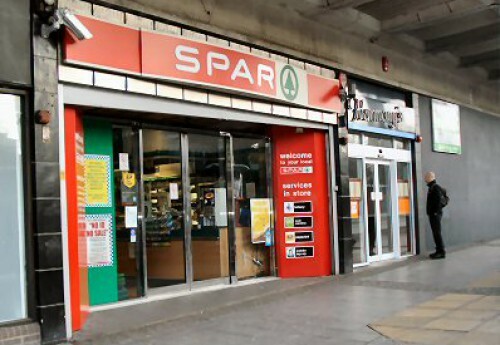 Busy shopping precinct serving popular residential and commercial area Plymouth. Impressive premises comprehensively equipped throughout. 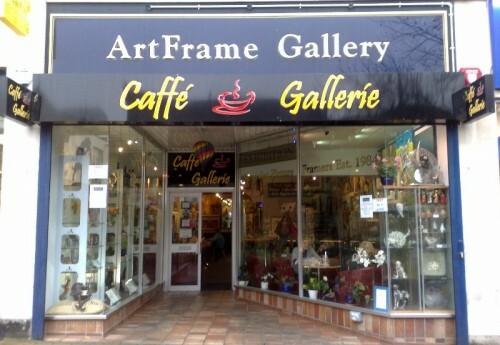 Sales shop, 2 café areas covers 60, kits, preparation area, w.c. T/O y/e May 2011 £164,414. G.P. £94,071. Secure lease. Sought after village location South East Cornwall. Substantial detached historic property with two bars, dining areas (54 covers) plus functions area. Exceptional commercial kitchens and spacious four bedroom self-contained owners' flat. All superbly presented. Large car park, trade gardens/patios. Turnover approximately £285,000 per annum excluding VAT with huge potential. Genuine retirement sale. Freehold £475,000 SAV OR New Lease - Premium £75,000 free of tie. Excellent main road position large residential suburb Devon city. Smart lock-up premises superbly equipped throughout. Take-away,Smart Licenced Bar area, kits/preparation area, freezer area etc. Healthy Turnover and Profits. Fully staffed. Reluctantant sale due to ill health.Ideal owner run concern. Unique Business opportunity. Viewing Essential. Secure lease. Enviable location approximately 50m from water in exclusive highly sought after South Hams estuary town. Charming lock-up premises superbly presented throughout. Impressive fully furnished lounge bar area, servery, kitchen/utility, cloaks. Turnover approximately £110,500 per annum. Net profits approximately £35,000 per annum. Limited opening hours with tremendous potential to develop. Fully staffed. Ideal owner run concern. Leasehold. Highly recommended. Prime city centre location major Devon city. Impressive period premises wealth character and charm. Two traditional bar areas, cloakrooms, cellar, large and versatile 3/4 bed flat. First and best Irish bar in city. Turnover approximately £9,500 per week. Gross profit approximately 54%. Wet sales only. Free of tie lease. Excellent barrelage. Genuine potential food. Viewing recommended. Stunning location overlooking marina and Plymouth Sound. Modern lock-up premises. Comprehensively fitted and equipped throughout. Café seating 24, kitchen, separate coffee shack, trade patio, stores, workshop etc. Popular well established business. Turnover approximately £138,000 per annum. Adjusted Net Profit approximately £40,000 per annum. Genuine potential. Viewing recommended. successfully operating in and around 20 mile radius. Devon city. Reputable and well established concern with strong and increasing client base. Purely private domestic client base. Potential to expand. Projected Turnover approximately £270,000 p a. Healthy profits. Fully equipped with 5 vans. Unique opportunity. Prime high street location busy Cornwall riverside town. Modern lock-up premises superbly presented and equipped throughout with sales shop, take-away section, preparation rooms with walk-in freezer and refrigerator and private parking. Well established and reputable concern. Turnover approximately £5,000- £5,500 per week. Gross profit approximately 65%. 50/50 split shop to deliveries. Leasehold. Viewing recommended. Thriving shopping parade popular suburb Devon city. Modern premises superbly fitted and equipped with take-away, kitchen, preparation area and w.c. Reputable well established concern. Turnover approximately £4,000 per week. Healthy profits. Large housing development nearby. Excellent potential. Leasehold. Highly recommended. Enviable location heart busy and sought after village Dartmoor National Park. Charming lock-up premises superbly presented and fitted throughout. Dining area covers 44, commercial kitchen and w.c. Reputable well established business. Turnover approximately £165,000 per annum. Gross profit approximately 62%. Secure lease. Viewing recommended. With healthy net profits located in a picturesque and unopposed location desirable South East Cornwall water's edge village. Attractive property comprehensively fitted and equipped throughout. Smart sales shop, stockroom, w.c. and yard. Turnover approximately £8,000 pw . Well established and very healthy business. Leasehold. Rent only £8,000 per annum. Ideal lifestyle concern. Viewing essential. Excellent city centre location Devon city. Impressive lock-up premises, wealth of character throughout, 3 delightful dining areas, 58 covers, kitchen, cloaks, etc. Excellent reputation with year round trade. 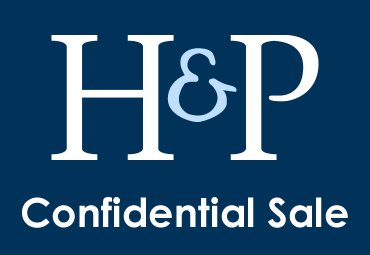 Turnover approximately £350,000pa.GP approx 66%. Very Healthy profits. secure lease. Rent only £13,000 per annum. Viewing strongly recommended. HIGHLY PROFITABLE RETAIL BAKERY with Adjusted Net Profit approximately £75,000 p a. Impressive property located thriving shopping parade popular suburb Devon city. Fully equipped sales shop, preparation/freezer rooms, 1-2 bedroom flat and courtyard. Reputable and well established business. Turnover approximately £235,000 p a. Secure lease. Rent £9,000 p a. Highly recommended. Leasehold. Prime location heart historic harbourside Devon city. Impressive period premises superbly presented and equipped throughout. Lovely bar area, delightful restaurant covers 100, separate functions suite, two superb kitchens, cloaks. Two self-contained one bedroom flats. Function trade totally unexploited. Excellent potential. New lease available. Viewing essential. Prime location heart historic waters edge Devon city. Impressive period property well maintained with immense charm and character. Traditional lounge bar, comfortable self-contained three bed accommodation, cellar, roof terrace, etc. Healthy turnover with generous net profits. Wet sales only. 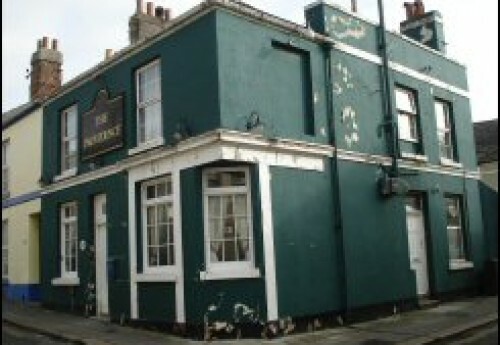 Renowned and popular drinking establishment. Secure lease. Rent £25,000 per annum. Popular residential area Devon city. Period premises comprehensively equipped sales shop, stockrooms, w.c. and self-contained three bedroom owners flat. Well established business. Turnover approximately £15,000 - £16,000 per week excluding services. Gross profit approximately 23%. Very generous net profits. Highly recommended. Leasehold or freehold options. Prime water's edge location heart historic Plymouth Barbican. Impressive premises superbly presented throughout with charming bar area, lovely first floor restaurant covers 50, superb kitchen, cloaks, cellar and stunning water's edge trade patio seating 60. Turnover approximately £560,000 per annum. Healthy net profits. Mainly wet trade. Free house. No tie. Potential to develop food custom. Secure lease. Viewing recommended. Thriving shopping parade popular residential area Devon city. Modern lock-up premises superbly fitted and equipped with sales shop (approximately 1,000sqft), large stockroom, office, w.c., etc. Thriving well established business. Turnover approximately £639,000 per annum. Gross profit approximately £161,100 per annum. Adjusted net profit excess £70,000 per annum. Secure lease. Realistic rent. Viewing recommended. Convenient unopposed location South East Cornwall riverside town. Substantial detached property with sales shop, offices, w.c., storeroom, compound, etc. Turnover approximately £180,000 per annum. Retirement sale. Genuine development potential. Viewing recommended. Enviable central location close Plymouth University. Charming period premises characterful lounge bar, servery, cloaks and 2 bedroom accommodation. T/O approx. £1,500 p.w. G.P. approx. 55%. Wet only. Free house. Genuine potential. Prime North Hill location adjacent Plymouth University. Impressive lock-up premises licensed for 250 persons with 4.00 am licence.Recently refurbished. 2 contemporary bar areas,pool rm, roof patio, cloaks, cellar etc. Historic Turnover approximately £357,000 per annum. Wet trade only.Potential For food. Run under management. Free of tie. Highly recommended. Fantastic opportunity and value . Popular residential area Devon city. Large semi-detached property with comprehensively equipped sales shop, spacious self-contained 3 bedroom owners' accommodation, garden, car port and garage. Turnover approximately £207,000 per annum. Weekly news bill approximately £1,200 per week. Post office salary Local plus approximately £29,000 to £32,000 per annum. Well established business. Viewing recommended. 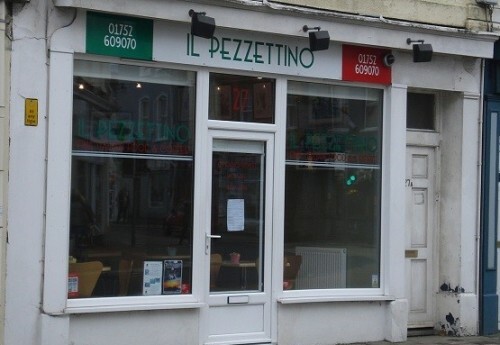 Located in a busy residential part of Plymouth this freehold investment is part residential part commercial, two bed flat, hair salon/fitness gym. Rental income £14,580 per annum. Excellent condition. Highly recommended. PRIME main road site Dartmoor National Park close Devon city. Impressive modern detached premises superbly presented and equipped throughout. Two charming restaurant/dining areas, covers 100 persons, servery, kitchen, office, cloaks, trade garden and large car park. Very popular.Fully licensed. Well established concern. Turnover approximately £10,000 per week. Gross profit approximately 66%. Leasehold. Unique opportunity. Highly recommended. Serving popular residential area Plymouth. Period property well equipped take-away, preparation room, spacious three bed family accommodation, garage, courtyard, etc. Reputably the 'oldest chippie in the city'. Well established with steady year round trade. Only open 20 hours per week. Genuine potential. New lease or Freehold sale. Viewing recommended. Enviable location established industrial estate popular South Devon village. Modern purpose-built workshop unit (approximately 1,000sqft total), well equipped throughout with ramps, compressor and MOT station, office and w.c. Reputable well established business. Turnover approximately £198,200 per annum. Net profit approximately £61,000 per annum. Retirement sale. Viewing recommended. Enviable location popular residential area Devon city. Modern lock-up shop premises. Comprehensively equipped throughout with stockroom and w.c. Turnover approximately £3,000-£4,000 per week. Totally unexploited. Genuine potential. New licence agreement. Flexible terms. Viewing recommended. Freehold sale considered to include self-contained 2 bed flat. 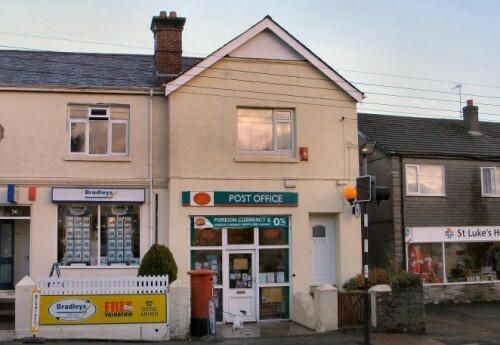 CHARMING VILLAGE POST OFFICE AND STORES enviable Fore Street position heart busy Devon village. Attractive lock-up premises with comprehensively equipped sales shop, Post Office section, kitchen, office, w.c. and large stockrooms. Well established business. Turnover approximately £500,000 p a. Post Office salary approximately £35,000 p a. Genuine potential to develop. Enviable main road position busy commercial and residential area Plymouth. Large period property comprising self-contained office suite, separate two bedroom flat and self-contained archive store. Rental income approximately £19,100 per annum. Highly recommended. 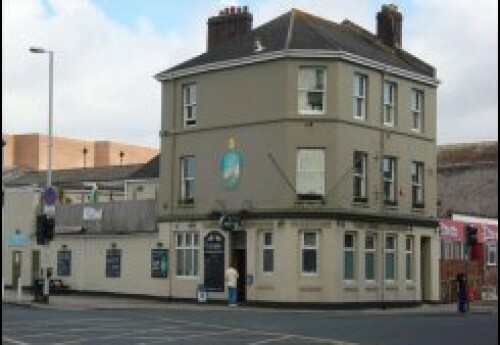 Prime main road site popular commercial and residential area Plymouth. Impressive period property comprising self-contained office unit, one bedroom flat and self-contained archive store. Combined rental income approximately £20,350 per annum. Viewing recommended. Enjoying estuary and country views. 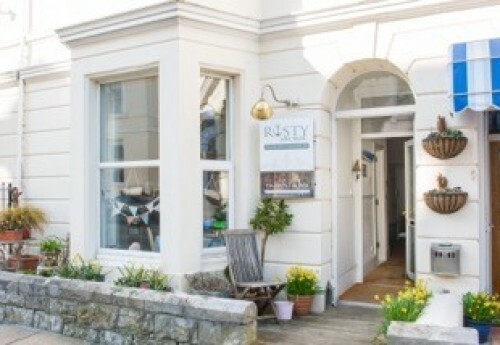 main road location sought-after South East Cornwall town. Substantial period property, modern fully equipped sales shop, stock rooms, large 5-6 bedroom (2 bathroom) family accommodation, double garage and patio etc. 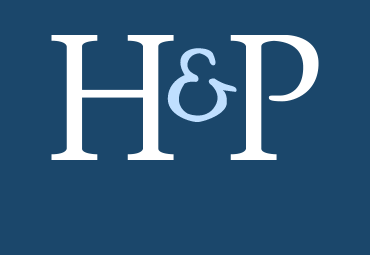 Turnover approximately £252,200 per annum with Gross Profit approx. 22%. Retirement sale after 30 years. Highly recommended. Enviable main road position established shopping parade Plymouth. Substantial period premises with extensive sales shop/showroom area total 2,500sqft, staff room, two self-contained one bedroom flats (let generating approximately £8,840 per annum). Suit variety trades and uses. Unique opportunity. Viewing recommended. Main road site busy shopping parade Plymouth. 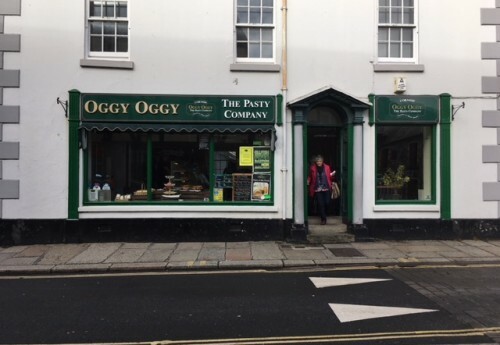 Large period property with large split-level sales/showroom (approximately 2,000sqft) with staff room, w.c. and two self-contained one bedroom flats (let generating £170 per week). Suit a variety of trades or uses. Viewing essential. ​Thriving shopping parade popular residential area Plymouth. Impressive period premises well maintained throughout comprising popular lock-up coffee shop and cafe with trade garden and two self-contained one bedroom flats. Combined rental income approximately £25,650 per annum. Excellent return. Viewing essential. convenient central location Plymouth. Impressive premises (approx. 7,500 sq. ft.over 2 floors) with reception, showroom, workshop/store areas, offices, cloaks and parking. Operated 50 years as independant floor and tiling specoialists. Retirement sale. Suit variety trades and uses.Freehold sale or New Lease available.Rent £25,000pa. Charming high street position thriving Devon riverside village. Impressive period property,extensively renovated and refurbished, modern fully equipped sales shop (approx. 1,000 sqft. ), stock/ staff rooms, spacious and comfortable self-contained 3 bedroom accommodation, roof patio. Well established concern. Turnover approx. £630,000 per annum. Generous Net profits. Ideal family concern in pretty village setting. Viewing essential. Prime main road site popular commercial and residential area Plymouth. Substantial period property currently arranged as two self-contained letting units both with D1 consent. Currently let to a dentist and charity generating rental approximately £33,000 per annum. Highly recommended. Located in heart of Plymouth. Character det. prems. with main functions suite for 100 patrons. 3 further functions rms. Office, fully equipped catering kits., cloaks. 2 Self-contained 1-bed flats plus rear area let as a langauge school. Garden, ample parking & substl. yr. rd. turnover as home to nearly 200 Masonic Lodge meetings p.a. Must be viewed to fully appreciate. Enviable trading location approximately 50m water's edge Plymouth Hoe. Attractive period premises well maintained throughout. Six - eight letting bedrooms, dining room, kitchen and self-contained one bedroom owner's flat. Reputable well established concern. Turnover restricted to below VAT threshold. Retirement sale after 15 years. Highly recommended. Enviable high street position picturesque Somerset village Exmoor National Park. Charming Grade II Listed property immense character throughout. Lovely tea rooms and sweet shop covers 30, craft and gift shop, commercial kitchens and preparation rooms, toilets, lovely four bedroom family accommodation, pretty trade garden. Historic turnover approximately £82,000 per annum. Net profit approximately £50,000 per annum. Retirement sale. Perfect lifestyle concern. Viewing essential. Prime site Plymouth Hoe close promenade historic Barbican and city centre. Attractive Victorian property well presented throughout. Breakfast room, 8 en suite letting bedrooms, kitchen, superior self-contained owner's flat etc. Turnover approximately £60,000 per annum. Healthy profits. Only open 9 months. Excellent potential. Prime trading location on historic Plymouth Hoe. Impressive Victorian premises with many original features. Superbly presented throughout with ten quality en suite letting bedrooms. Residents lounge, dining room, kitchens, plus large self-contained one bedroom owners flat, patio & parking. Turnover approximately £73,500 per annum. (Restricted to VAT) from B&B only. Genuine retirement sale. Fully Let generating Rental income approx £39,400 pa (approx 8% return).Prime main road site sought after commercial and residential area Plymouth. Substantial period property comprising two s.c retail shop/office units, 2 bedroom flat plus 1 bedroom flat and large s.c archive store facility. Strong individual Covenants.Also available as 2 units POA. Highly Recmd. Prime site adj. national tourist attraction and major entertainment centre, Devon city. Impress period prop., 3 charming bars, restnt., kits., 5 bedrm. pvt. accom., trade patios, cellar, etc. T/O approx. £323,000 p.a. G.P. approx. £211,059 p.a. Mainly wet trade. Run under management. Highly recmd. Enviable location sought after industrial estate Devon city. Modern premises (total 5,500sqft), superbly equipped throughout. Reception, office, cloaks, workshops, MOT centre, staff canteen, tyre bay, parts/stockroom, compressor store, large customer car park, Reputable well established business. Turnover approximately £901,000 per annum. Net profit excess £257,000 per annum. New lease. Unique opportunity. Viewing recommended. Convenient location close city centre and university Plymouth. Imposing period premises HMO licence fourteen persons. Twelve letting rooms, three kitchens, three bath/shower rooms, laundry/utility, w.c. and private parking. High occupancy rate. Total income approximately £43,000 per annum. Highly sought after pretty hamlet picturesque West Devon countryside. 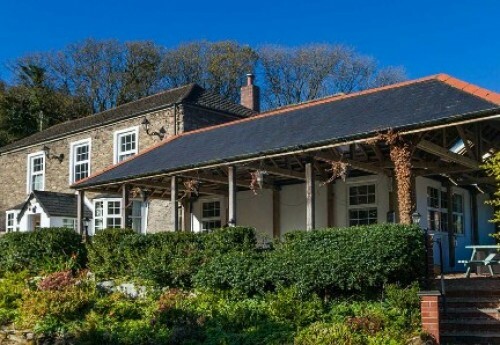 Character 18th century property immense charm. Lounge bar, dining room, function room/skittle alley, farm shop, 2 bedroom owners' flat plus 2x2 bed holiday flats, car park, garden, etc. Turnover approximately £165,000 per annum. Gross profit £101,000 per annum. 50/50 split wet and dry. Excellent potential. Recently refurbished. Viewing essential. Enjoying lovely harbour views famous South East Cornwall coastal town and tourist haunt. Charming 16th century 'olde worlde' property. Immense character, 2 delightful dining areas covers 90, reception/bar area, commercial kitchen, 3-4 bedroom accommodation etc. Reputable Well established concern. Turnover approximately £361096 pa Adjusted Net Profit Approx £149,368. Highly recommended. Enviable unopposed village within 1 mile rugged Cornwall coast 7 miles St. Ives. Impressive period premises extensively renovated and refurbished throughout. Modern fully equipped sales shop, large stock rooms, self-contained 3/4 bedroom family accommodation, separate 1 bedroom annexe (let generating £6,000 per annum), garden etc. Well established concern. Turnover approx. £20,000 per annum net sales. Gross Profit. approx. 24%. Fully staffed. Ideal owner run business. Excellent profits. Viewing essential. Lovely rural setting amidst picturesque Cornwall countryside. Charming 'olde worlde' three bed (two bath) farmhouse wealth of character, range outbuildings including two kennel blocks, two cattery blocks, reception, one bedroom staff flat, large barn/garage store, car park and approximately 4 acres. Licence 70 dogs and 20 cats. 5 Star rating. Reputable well established concern. Turnover approximately £105,000 per annum. Healthy net profits. Ideal lifestyle concern. Viewing essential. Prominent main road position sought after South Devon village close to coast. Substantial premises extensively renovated and extended. Presented in excellent condition throughout. Take-away shop, preparation and utility areas, charming and spacious 3/4 bedroom family accommodation, garage, patio garden and car park. Turnover approximately £117,700 per annum. Adjusted net profit approximately £42,000 per annum. Comfortable hours. Genuine potential. Viewing recommended. 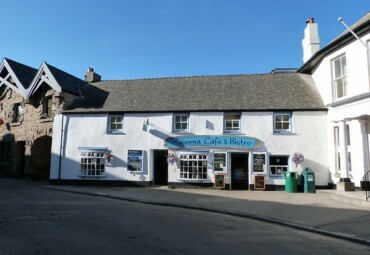 Superb licensed cafe/bistro with self-catering holiday apartments. Stunning position close harbour and beaches. Charming period property. Wealth of character throughout. 50 cover restaurant, kitchen, 3-4 bedroom owner's accommodation, 2 holiday apartments, garden etc. Seasonally run business. Healthy turnover and profits. Quality "lifestyle" business. Highly recommended. Prime location Plymouth Hoe, close historic Barbican and city centre. Elegant Victorian premises, immense charm and character. 12 quality en suite letting bedrooms, dining/breakfast room, reception, kitchen, large 4/5 bedroom private accommodation, car park and gardens. Reputable well established concern. Turnover approximately £205,000 per annum. Adjusted net profit approximately £100,000 per annum. Bed and breakfast only. Unique opportunity. Viewing essential. Excellent high street position thriving shopping parade Devon city. Impressive lock-up premises superbly presented and equipped throughout. Take-away/ servery area, dining area 26, cloaks, preparation room, office, external seating area 8. Historic Turnover approx. £1,200 per week. Unexploited with genuine potential. Secure lease. Viewing Recommended. Popular shopping parade Plympton in Plymouth. 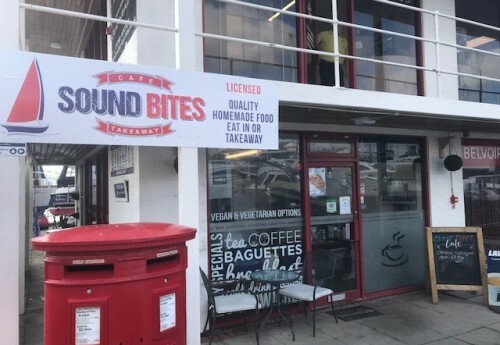 Modern lock-up premises (approximately 500sqft) with attractive well-appointed cafe area, servery, staff kitchen and w.c. Excellent potential. Unique opportunity. New lease. Realistic rental terms. Viewing recommended.